When a fast cash sale for your car is at the top of the agenda, contact Cash for Cars Adelaide. We buy cars of all makes and conditions, paying that top dollar you are looking for. We pay up to $9,999 cash for any make and condition of a car. Great a fair price, and the services you require when selling your car. Contact us for a quote. Sometimes it doesn’t matter the condition of your car. It can be tough to sell whether old, damaged, scrap, wrecked and or used. If the car is severely damaged, it can be tough to get someone to remove it from your property. The hassles associated with selling cars is why many car owners procrastinate and allow the car to sit and deteriorate. 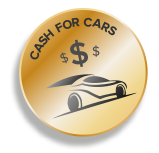 Cash for Cars Adelaide gets calls from discouraged car owners that have allowed their cars to deteriorate so badly that there is no real value in their cars with the exception of the Scrap Metals. We also get calls from car owners that can’t find a buyer for their used cars. We buy all makes and conditions of cars from used to severely damaged and deteriorated and pay cash. Car owners are guaranteed a cash offer up to $9,999 from Cash for Cars Adelaide for their cars of any make and condition. We are car buyers that pay cash for cars of all makes and conditions. You can have an old Isuzu that you want to sell. Maybe the market value is low; but, it could be worth more in the wrecking and recycling value that we are prepared to offer. Or, you could have a used Ford that runs great. Regardless of the condition of your car, we will pay top cash up to $9,999 for the car, truck, van, 4×4, bus, or SUV. Contact us for a quote. Why advertise, or give your car away to a wrecker. Cash for Cars Adelaide will pay you cash for your scrap or wrecked car. We are your wrecker and recycler in Wingfield that pays cash up to $9,999 to scrap your car. We’ll pull parts, and recycle parts and the steel of the car for you to get the maximum value for your scrap or wrecked car. 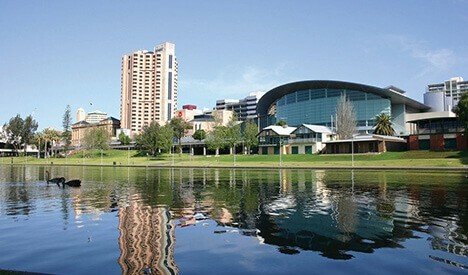 We do Cash for Car service for any location in Adelaide. With us, there are no hassles when selling your car. We take care of the entire sale, including picking up the car, paying a cash payment on the spot, and providing the paperwork to make the sale legal. For more information on our services, or to get an instant cash quote, contact us at the number below. Quotes can also be obtained by completing our "Get a Quote" form at the top right of this page. We are your Wingfield car buyer that will pay you top dollars for your car of any make and condition.